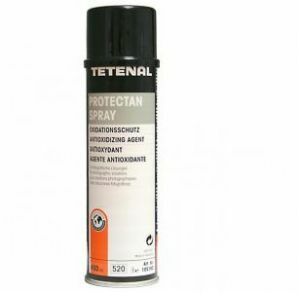 Tetenal Protectan is a very useful anti-oxidising spray ideal for expelling air from less than full bottles of chemicals, be they black and white or colour. It sees most use in the colour darkroom where working solutions of colour chemistry are often kept for several weeks - spray this into the bottle just before screwing on the cap. It is just at home in the Black and White darkroom - ideal for spraying into part used developer concentrate bottles. Greece, Switzerland, Norway, Azores, Balearic Islands, Canary Islands, Corsica, Gibraltar, Madeira, Malta, Sardinia, Turkey. Other International destinations, outside Europe. We can not ship to any non-European destinations either, as airfreight is also used for international destinations.